As the winter skiing season is coming up, it’s time to update your quiver. Armada skis have an option for almost every type of skiing. Unless you’re looking for a pair of super-thin racers, their selection has you covered. One common challenge of ski selection is the set of categories we often encounter is the set of categories most brands offer. There are basic entry-level skis, professional skis for traditional competition on well-groomed slopes, and a slew of alternative skis that try to cash in on the niche market. For real enthusiasts of extreme skiing, it’s usually a compromise. But this brand focuses on this oft-neglected market. These are skis made by enthusiasts for enthusiasts. However, making an informed decision takes more than a brief description by the manufacturer. Let’s start by covering the basics on Armada skis and what makes these ones the best. Here are some commonly asked questions and their answers. What’s special about Armada skis? Armada designs high-end skis with an emphasis on versatility since 2002. 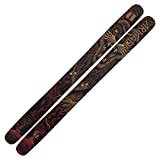 In addition to being a popular freestyle and freeskiing brand, their women’s park skis have stood in the spotlight for some time. What stands out about their skis are the beautiful designs on most models. The company started in Utah but also has an office in Innsbruck, Austria. Their skis are sold across the world and have many famous users, including Tanner Hall, Jacob Wester, and Henrik Harlaut. Who should use Armada skis? There are skis for each discipline, but their strongest suit is park skis. They’ve branched out more over the years. However. Armada skis are popular among women, offering a few different ranges of high-quality women’s skis. 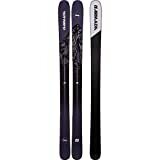 Where can you buy Armada skis? While Armada has a webshop, you generally can’t buy their skis there. However, many retailers carry them. You can find a dealer here. You can also pick them up from e-shops like Evo and Amazon. How much do Armada skis cost? With such a wide range of ski models and sizes, there’s also a wide price range. The cheaper ones start around $400, and the top-of-the-line models cost about $1,000. 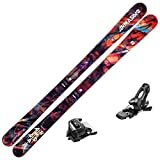 While price increases with width and size, the main difference is between different series of skis. The more expensive ones are better at handling more demanding situations. In order to produce a good and reliable list of the best Armada skis, we’ve taken the time to research the products, what they’re good for, and what people say about them. In addition to official sources, we’ve scoured the web for user input. Before we dive into this, let’s clarify that the order of the skis doesn’t indicate which ones are better. These are all top skis, and they serve different purposes. We didn’t include any of the exclusive Zero series skis, simply because they’re for elite skiers and hard to get, and because this makes real-world data hard to find. The ARW 96 from Armada is a fantastic ski for strong skiing women who may hit the park and charge anywhere on the mountain. Tantrum Skis have the girth to slay powder, the easy turn initiation to navigate tight alpine trees, and a lightweight freeride feel to land cork 3's. This is the option for male all-mountain freestyle enthusiasts who like to have lots of fun on the slopes. The classic design saw some significant upgrades in 2018, taking the versatile performance and durability to new levels. We chose the 96mm model because it’s more versatile on the piste, and there are better Armada skis for more freeride-oriented skiers. A core made of ash and poplar balances strength with lightweight performance. It has a freestyle rocker profile with progressive rises in the tips and tails. With 25 percent more ABS sidewall coverage and Armada’s 2.2 impact edge, it provides durability without excess weight. This is a great one-ski quiver candidate that you can take anywhere, and it really shines on powder days. The main advantages are that it’s . The only real drawback is that its jack-of-all-trades nature may leave you wishing for more if you do serious freeriding or groomer carving. Users praise its durability and give the ski five out of five stars. 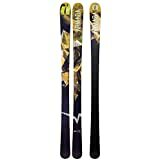 Armada ARV 96 skis are in the mid-range. You can find them for between $$$-$$$. These Armada skis are the female counterpart to the ARVs. Armada recognizes that women want to jump and slash as they please too. So, if you’re a wild girl who likes to play all over the mountain, this is the choice for you. It’s the same general design, but with women’s proportions. The S7 base provides a fast, slashy feel and reliable durability. With its positive camber and rockered ends, it lets you float and carve in ways that are often exclusive to men’s skis. On the plus side, this is a real all-mountain beast that gives you lots of freedom. The only real drawback is that it may not be wide enough for optimal performance on deep powder adventures if you’re taller or heavier than the norm. Users still give it five stars out of five. These cost a bit less. You can buy them for between $$$-$$$ depending on the version and vendor. This is Armada co-founder Tanner Hall’s signature ski. With its 127mm width and stiff flex pattern, it’s the ideal off-piste ski for deep powder. The EST freeride rocker profile ensures great float in deep snow, while also giving you solid edge hold on hardpack and ice. A combination of light woods makes up the entire core, making it light and agile, while a directional fiberglass matrix provides torsional rigidity. So if you like to slash the powder, this is your ideal ski. When it comes to floating on powder, few skis can even get close. Regardless of speed and conditions, this is your ski for those long backside lines. Being high-end skis, they’re costly. You can get them for $$$-$$$. Swedish skier Henrik Harlaut is one of the most influential winter sports athletes in modern times. This is his signature ski, with each edition catering to his preferences. So you know that this is exactly what you need for confidence in the park. With a waist width of 98mm and a Pop-Lite wood core, the flotation and mobility are optimal for freestyling. It has thicker steel edges than any Armada ski for added stability, durability, and dampening. A special nose rocker design improves nose press response and handling in the park. The sidewall goes from end to end and helps with hard landings. And the comp series base improves speed. This is a world class freestyle ski, but I wouldn’t take it for a long day on the groomers. Prices range from $$$-$$$. You can buy them here. These are the dedicated off-piste Armada skis for women. 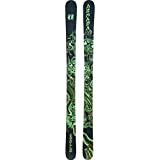 These directional backcountry skis are for the brave who prefer wild powder runs overcrowded lines. They give you the float and toughness you need for a confident off-piste adventure. The Ultra-lite core consists of various lightweight woods, with a little bit of hardwood under the feet. This, together with the beveled top sheet, gives you excellent maneuverability and float without losing stability. An Innegra Mesh insert reduces chatter, while the Comp Series base increases speed. It’s an absolute powder crusher that can take on wild and variable freeriding conditions. This comes at a slight expense to versatility on well-tended slopes. . Despite their high-performance specs, they’re rather affordable. You’ll get them for $$$-$$$. Do you love shredding through deep snow? Do you also like to head back to the piste in between? Then these all-mountain monsters won’t let you down. Armada Victa 93 features a Power-lite wood core, using light wood with hardwood stringers for a smooth ride. A slight tip rocker helps you float and slash in the deep powder. Carbon and Kevlar-tipped stringers make it poppy and durable. Overall, it’s a playful yet forgiving ski. One of the best directional all-mountain skis for women. It’s smooth and stable in challenging conditions. The downside is the lack of specialization, but that’s not what an all-mountain ski is for. They’re quite affordable for their class. You can buy them for between $$$-$$$. The new edition of the award-winning Invictus series is more playful and absorbs more energy than ever. If you love fast charging down both sides of the mountain through powder, chunder, and hardpack, the Invictus 99 TI is your friend. These Armada skis have Power-lite cores for versatile power and control. A carbon-laid Innegra mesh reduces vibrations and adds some kick. The Titanal construction provides reliable stability at high speeds. To take the all-mountain charging capabilities further, it features a Nose rocker profile. The tips also have carbon and Kevlar struts for strength and pop. The fancy materials make Invictus skis quite pricey. You can buy them for $$$-$$$. Armada emphasizes predictability and versatility with this edition of the Tracer, but they left plenty of room for nimble play. If touring and high-altitude freeriding are your cup of tea, so are the Tracer 108s. The Tracers balance stability and weight reduction with a combination of Armada’s Hybrid Ultra-lite core and various strengthening technologies. A directional laminate matrix creates the torsional rigidity and flex pattern, while a Crystal mesh insert boosts toughness and stability. Titanal underfoot reinforcements and a tapered top sheet finish the strong design. So you get the right strength and feel for both freeriding and touring. Users say it’s stable and maneuverable in all snow conditions, they highlight its versatility and give it five stars out of five. However, if you seek a dedicated powder ski or something really fast, it’s not optimal. These skis have a wide price range. You can buy them for between $$$-$$$. You might encounter a tantrum when a young skier can’t explore the slopes. Armada’s aptly-named junior all-mountain ski saves you from such a tantrum. This ski will let a sprouting skier explore every side of skiing they want and develop the skills they’ll need for safe adventures. The Tantrum has an Ultra-light wood core with directional fiberglass layers for a better flex pattern and torsional stiffness. An S7 base makes it speedy, durable, and low-maintenance. The 99mm ski has the EST all-mountain rocker profile with no tail rocker and a positive camber underfoot. So you won’t sink in deep snow, and you’re less likely to slip off rails and edges. If you want to show your kid the joy of flying down the piste after a blizzard, these are the skis for it. Users say it handles powder, hardpack, and chopped up snow with ease. The downside is the relative lack of length options. Tantrum is a serious all-mountain ski for kids, not just an expendable junior ski. That covers the nine best Armada skis of 2019. Which one suits you best depends completely on your preferred style of skiing. You may even want to go up or down a width. If you’re undecided on what you want, we recommend the ARV 96 for men and ARW 96 for women. If you’re a freeskier, we recommend the Trace for women and Tracer for men.